This passionate plea was made by Sir John Betjeman over 50 years ago. The subject was Emery Walker’s House, a tall Georgian mid-terrace property near the Black Lion pub at the end of Chiswick Mall. Other than a blue plaque stating, ‘Sir Emery Walker, typographer and antiquary, lived here 1903-1933’ there is nothing to distinguish No. 7 from its elegant neighbours nor to give a clue to the treasures inside. 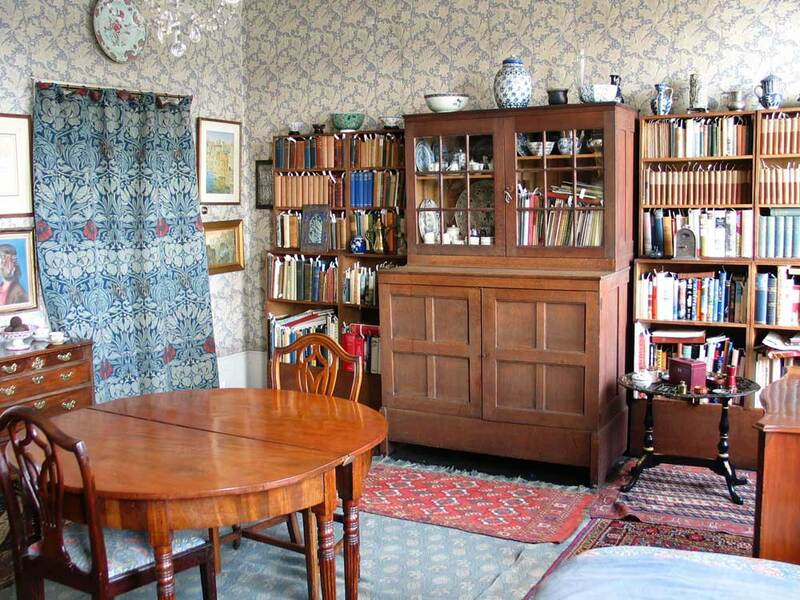 However, behind the front door is an impeccably preserved William Morris-style Arts and Crafts interior that has barely changed in over a century. 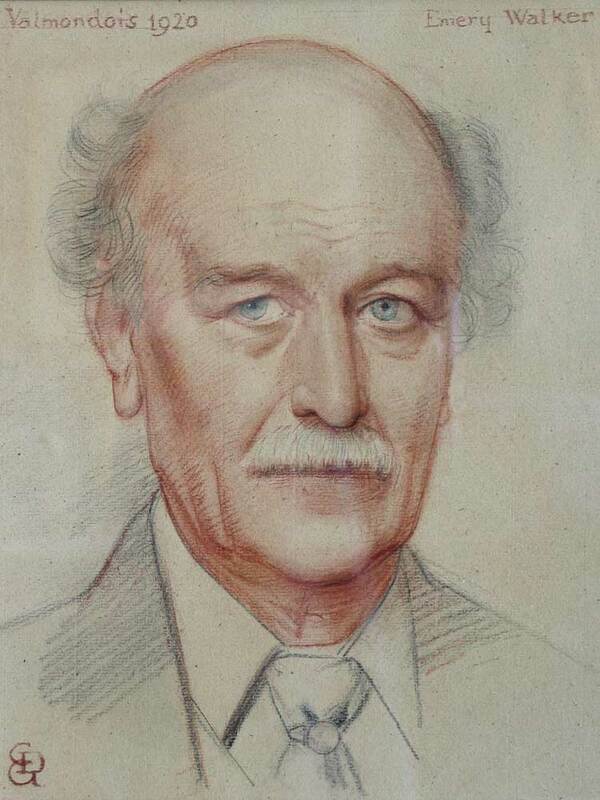 A coachbuilder’s son, Emery Walker was born in 1851 and lived in Hammersmith from the age of seven. After several years working as an apprentice draper, he joined the Chiswick-based Typographic Etching Company at a time of pioneering advances in typesetting and the printed reproduction of illustrations and photographs. Having found his niche, in 1886 Walker started his own company and it built a reputation for using photogravure, a technique that faithfully reproduced photographic tones. His firm specialised in using works of art and photographs as illustrations and helped revolutionise the book-making industry. As his professional fortunes improved, Walker first bought No. 3 Hammersmith Terrace in 1879 and then moved to No. 7 in 1903. He soon came into contact with William Morris, who lived at nearby Kelmscott House, and a friendship grew between the two based on their shared artistic tastes and socialist beliefs. Walker furnished his home with carpets, curtains, wallpapers and furniture from Morris & Co. On the hall floor is Morris & Co linoleum, believed to be the only example still in situ, all the rooms are lined with original Morris wallpapers and there are also personal mementoes of Morris himself, including a 17th century chair from his library and even several pairs of his spectacles. Sir Emery Walker died in 1933 and the house was inherited by his daughter, Dorothy, who stayed on at No. 7, preserving the interior intact, until her death in 1963. Dorothy, in turn, left the house to her companion, Elizabeth de Haas, who lived there until 1999. Anxious to keep the house and contents together, she established The Emery Walker Trust four months before her death and, after necessary safety measures were completed, No. 7 was opened to the public in 2005. In April the House re-opened after an 18-month closure for essential restoration work; this lengthy process, undertaken by Arts & Crafts Hammersmith, included the installation of a new roof and required the removal, conservation and cataloguing of 6,000 individual items. Now everything is back in place and volunteers will be hosting tours at 11am, 1pm and 3pm on Thursdays and Saturdays until 25 November. 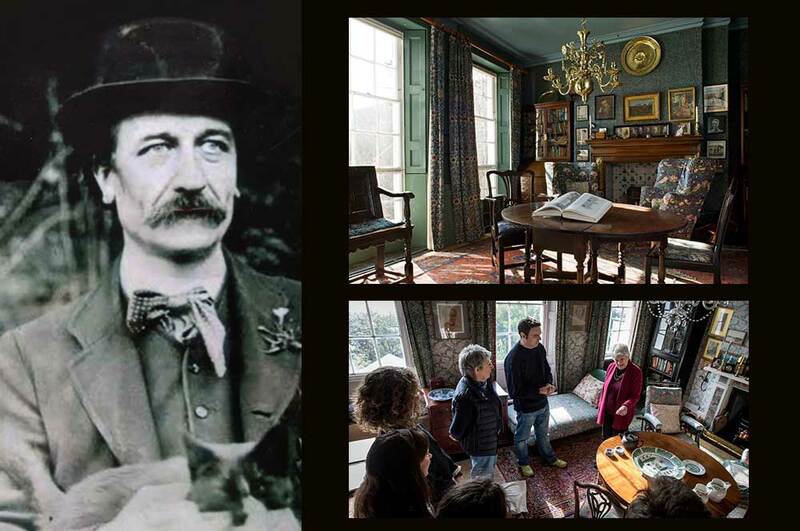 Each tour is limited to eight visitors due to the size and fragile nature of the house and its contents (all tours must be booked in advance). No doubt Sir John Betjeman would be delighted to learn that one of the UK’s most significant and intriguing houses exists in the condition that he found it – and that visitors can still step back to the Arts and Crafts age.